If you’re about to adopt a cat, you may be wondering about Kitty’s toilet habits. You’ve heard about the litter pan, of course. But how to convey the message to your new furry friend? In other words you need some guidance about how to teach a cat to use a litter box, right? Lucky for you, we have the complete guide here for you! The first thing we need to do is understand the basics of this behavior. Why do cats bother to find a place where they then dig, do their business and (usually) bother to cover it up. Understanding the motivation behind this behavior will help you teach Kitty to practice it. The cat find a place where he or she can dig up some dirt. They then look around, find the right spot and start digging a shallow hole. After a minute or so of digging, the cat checks the hole. If all’s well, the feline then turns around, so that the back part of her body is above the hole and, well, nature calls. When done, the cat sniffs the produce for a bit and only then begins to cover it up with dirt. As you can see, both videos were shot from a considerable distance so the video quality isn’t very good. It’s still possible to see what’s going on. The cats spend a while digging, checking the hole and digging some more. Then they take some time to do their business and finally meticulously covering their little project. Large cats such as lions don’t usually bury their waste. They have no one to fear. They actually want to announce their presence and leaving your feces or urine markings around is a great way to do that! According to scientific sources, cats that hide their feces and urine are in fact doing the opposite of territorial marking. Opportunistic predators such as coyote, jackals or hyenas. Dominant male cats of her species. Both could be a potential threat, trying to kill the kittens to feed on them, or to make the female go into heat again. Either way, it’s best to keep young kittens hidden away and that means burying feces. In a sense, our domestic cats’ habit of using the litter box is a reflection of the same behavioral pattern. Our cats are relatively small – compared to wild cats or even to the humans they live with. It makes sense for them to follow the ancient drive of covering up your tracks. Just to stay on the safe side. In that sense, using the litter box is instinctive to our cats. 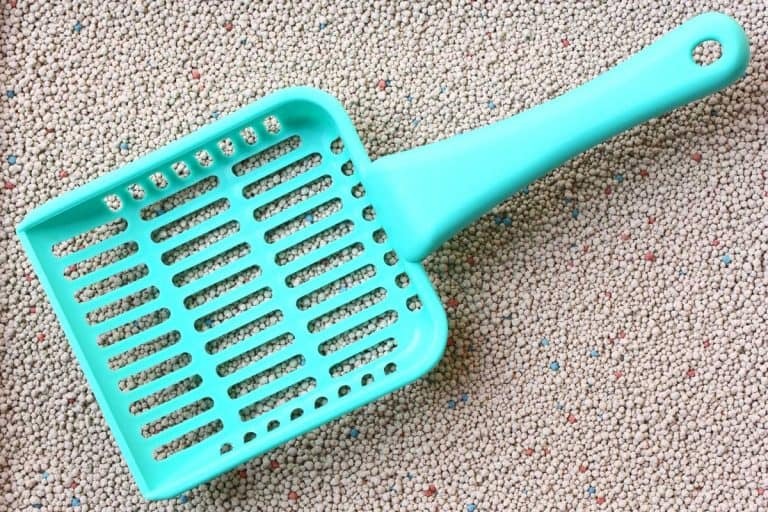 Do all cats instinctively use the litter box? Yes! Well, mostly. Almost all domestic pet cats do use the litter box instinctively. In fact, rescuers will tell you that when you bring in kittens and provide them with a small litter box, they will start using it right away. 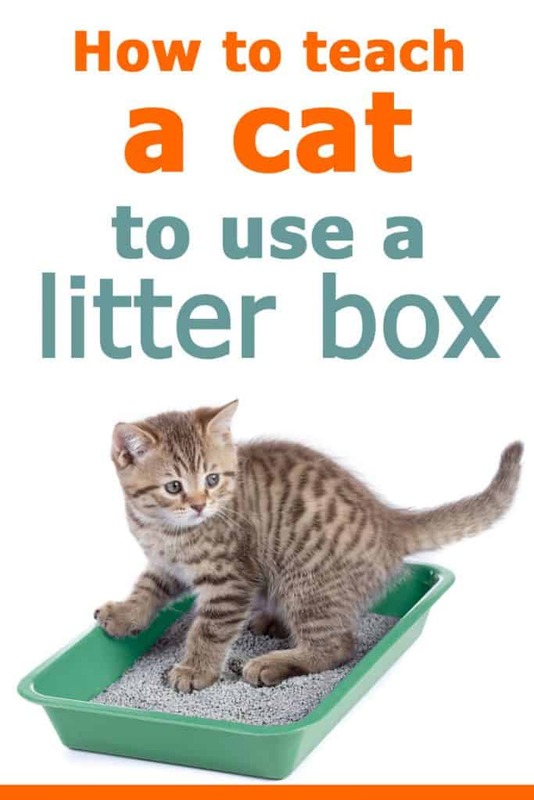 So why are we even writing about how to teach a cat to use a litter box? Good question. Just because cats have a strong instinct to use it, doesn’t mean they always do. Let’s delve into the two. With a new cat, it’s not so much that you’ll have to teach a cat to use a litter box. It’s more about how to introduce it to her the right way. The important thing is to provide a cat with access to a litter box that’s set up properly. When you first bring a new cat home, don’t just let her wander off in a new territory. During the first few days, keep Kitty in a safe room where she can explore without feeling overwhelmed. This will be her first interaction with a litter box in her new home. You may be planning on placing the box in your guest bathroom or even the basement, but for now it must be in the cat’s safe room. As a rule, litter boxes should be placed away from feeding locations. In this case, you’re keeping them in the same room, so make absolutely sure the box is as far away from feeding dishes as possible. Once it’s time to introduce the cat to the rest of your home, keep the litter box in her safe room in the same place and add an additional one in the new location. Use the same type of box and the same litter. Put some of the used litter from the safe room into that box. Do not remove the safe room litter pan until you know for sure that your cat is regularly using the new box. That’s it in a nutshell, that’s how you teach a cat to use a litter box in her new home. 99% of the cats will do just fine with this approach. How to teach a cat to use a litter box often covers this scenario. 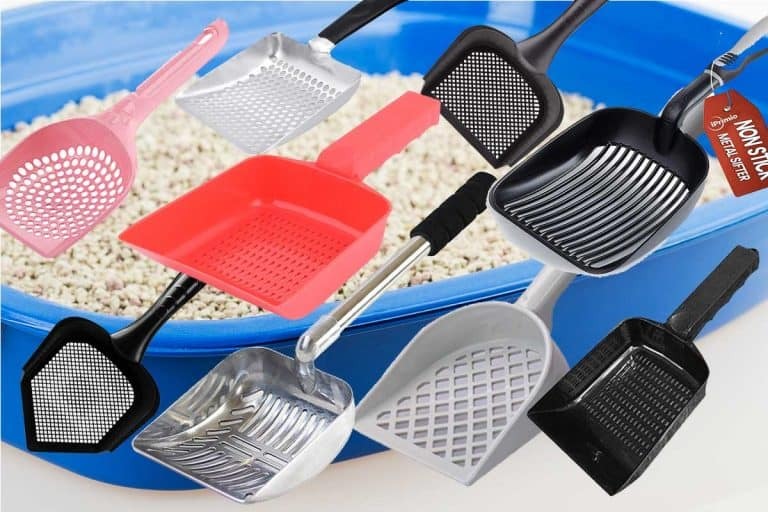 Your pet cat of many years has been using a certain type of litter pan with no issues but now you want to introduce him or her to a new type of box. Let’s say Kitty has always used a standard open box but now you want to try a covered cat litter box or a self cleaning litter box. 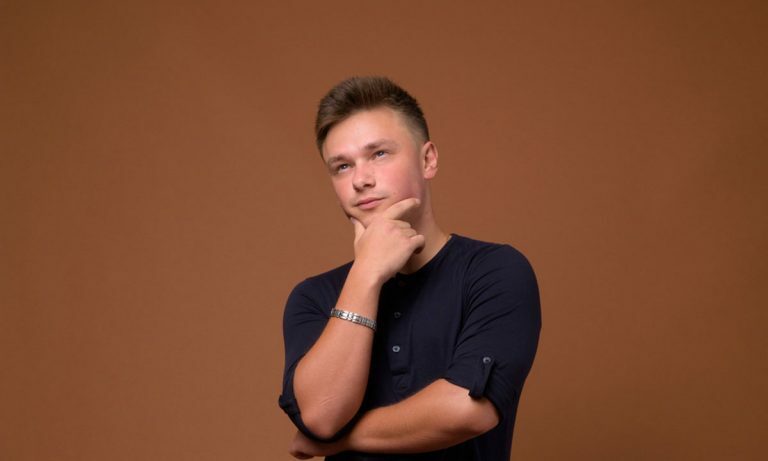 How to go about that? Cats are creatures of habit so making changes in their routine should never be taken lightly. If you need to change the litter box, do it gradually. Don’t just swap one box with another (and give your cat a shock next time she goes to the toilets). Instead place the new box next to the old one and keep both of them there until your cat regularly uses the new box too. If you’re switching to a covered litter box, keep in mind that some cats are turned off by the flap door. One way to go about it is to take that flap door off, at least until the cat regularly uses the box. If you’re cat has been using the box all her life and suddenly begins having “accidents”, you may want to re-train her to use the box again, right? Well, not exactly. Using the box is not about “training” it’s about providing a healthy cat with the right set up for litter box use. And note the word “healthy” because some health issues can cause a cat to go outside the box. Don’t try to teach or train your cat before you know for sure what’s causing her to avoid the box to begin with. Litter box avoidance issues can be a very serious thing. They can reflect a health problem, issues with litter box setup or just too much stress in your cat’s life. Don’t just shoot in the dark. Educate yourself about the issue and try to figure out why Kitty is avoiding the box. This excellent guide about litter box problems in cats can guide you through the process. 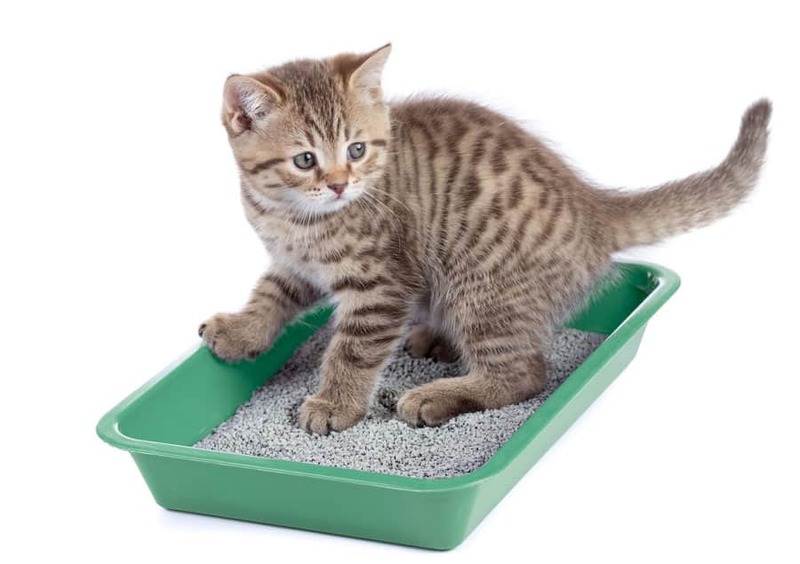 Can I Move My Cat’s Litter Box?